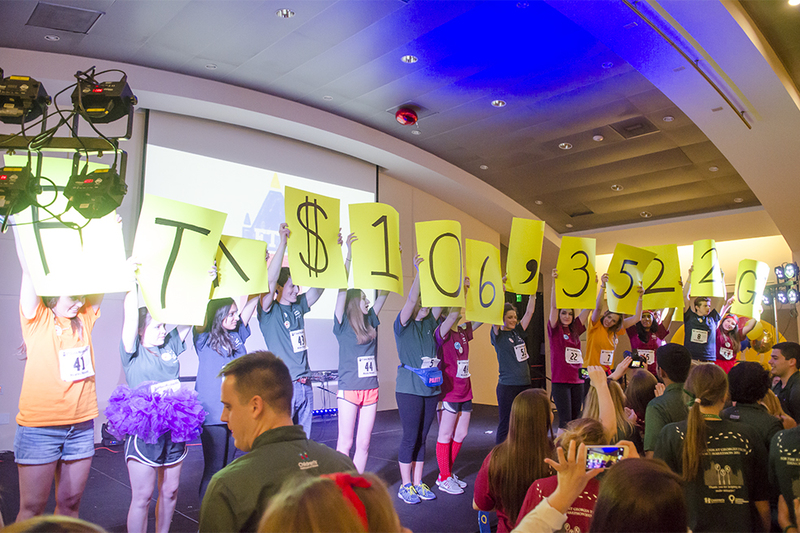 On Saturday March 7, Tech’s For the Kids (FTK) raised $106,352.42 to help Children’s Miracle Network hospitals. Tech’s Chapter of FTK currently supports Children’s Healthcare of Atlanta. This organization hosts many events throughout the year to raise money for the cause, including their largest event, Dance Marathon. The organization’s willingness to cater to the needs of the students could be a huge reason for this year’s success. Besides condensing the hours of Dance Marathon, the organization has taken strides in becoming more diverse to reach a wider audience. The passion and closeness of this year’s executive board is another factor that contributed to FTK’s accomplishment. Together, the members were able to have some memorable and humbling moments. “Being able to support the Miracle kids is definitely the most rewarding part of being in FTK,” Skalak said. Similarly to Skalak, Sanders enjoyed the personal interactions he had with all the families. The highlight of Dance Marathon for him, however, was the Room of Hope. Terynne Burgan, second-year IE and member of the FTK Finance Committee, cited revealing the amount raised as her favorite moment. She even held the “1” of “100,000” during the reveal. “It was so exciting because we beat our goal of $100,000. Throughout this whole year, we kept talking about how we wanted to flip the ‘1,’ and seeing everyone’s faces when we beat our goal was awesome,” Burgan said. While the organization has made strides, the members want to see this organization grow further. Sanders hopes for more people to know why they are raising money. The organization hopes to raise over a quarter million dollars in the next few years.